Children's Hope is a small group of concerned citizens who band together a couple times each year, traveling to Haiti’s most vulnerable communities to distribute medical and hygiene supplies. 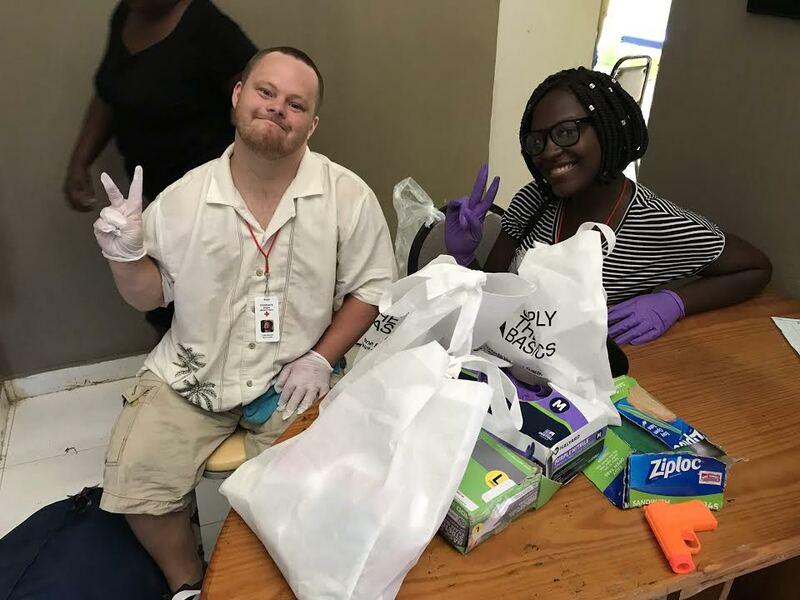 In preparation for our most recent trip this past summer, we had accumulated supplies locally and nationally from fellow non-profits who made many and generous donations. This year marks our first year to partner with Simply The Basics, the nonprofit organization that focuses on supporting other non-profit organizations to better serve the homeless and low-income communities, saving time and resources all around, and allowing us to focus on our Mission. It was but a few weeks ago that a team of 15 of us from Children’s Hope headed for the airport to check thirty humongous duffle bags stuffed full of donations, en route from SFO to Port Au Prince. It was an unexpected struggle this year in getting clearance out of the United States for all 30 bags. Much more so than it was for customs in Haiti to admit them, but nevertheless, 16 hours later, on little to zero hours of sleep, we all arrived in one piece, more or less. Given the size and weight of all the supplies we bring on each trip, I think our group collectively holds our breath from the time we enter the airport in the United States, until the very moment we have unpacked our bounty of medical supplies in one of the poorest regions of Haiti, in preparation for the Doctor's Clinic that day. We worked alongside Dr. Joseph Prosper and his team of nurses in a rural part of town in Jacmel, which is found on the southern coast of Haiti. We met Dr. Joey on one of the main roads and followed him down a dirt path for about a mile and arrived at what will one day be The Leadership University of Haiti. When we arrived, there were but a few nurses from Dr. Joseph's team and a few curious children from the neighborhood. But word spreads quickly in this region when a free doctor’s clinic is about to open. I noticed a young man who had also arrived at the clinic early that day. He was posting on his Instagram page, in Haitian Creole, “Gratis Klinik Medikal” along with a photo to help draw attention. Advertising our Doctor Clinics has never before been an option, nor does it seem essential. Typically confirmed a day beforehand, our modest structure under which we organized the day’s Clinic was soon full of patients seeking treatment. We examined and filled over 150 prescriptions in two days. Most cases were straightforward and others required specific attention. There was one woman who had not been able to obtain proper treatment for a miscarriage that had occurred over a month ago. After she was diagnosed, we were asked to make a special trip into town to purchase an IV kit to aid her severe dehydration. As simple as it may look, a hygiene kit performs far beyond the contents of what is in the bag. At least 100 families received a hygiene kit throughout the duration of our two-day clinic. 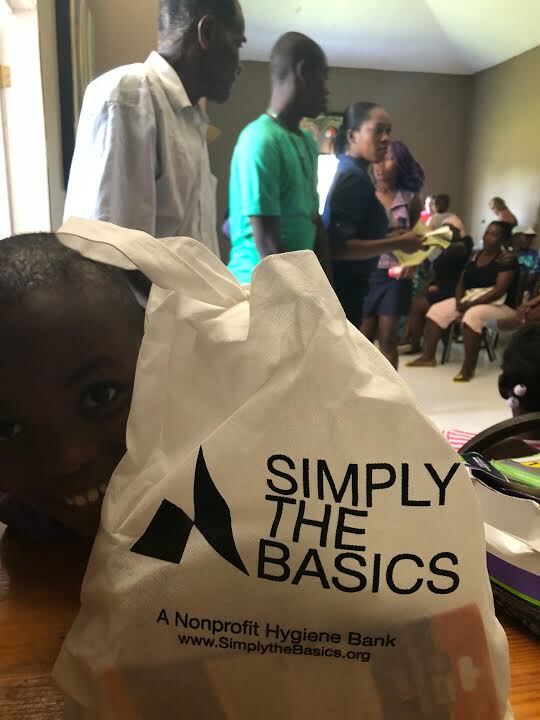 Children’s Hope remains extremely grateful to our newest partner Simply The Basics, for their support, encouragement, and generosity.